Agnetha at 60 – Looking FAB! Comments : Comments Off on Agnetha at 60 – Looking FAB! The cover and some pictures from the latest issue of ‘M’ magazine. Comments : Comments Off on Agnetha -WOW! In Expressen they are reporting on the interview with Agnetha from M magazine. The next issue is out in Sweden on Tuesday the 28th. Agnetha wants to reunite ABBA! She reveals in a big interview with Amelia Adamo in M. She wants to meet the other members – and perform again. – A reunion, a one-time basis, perhaps in connection with any charity, I think maybe we all could imagine, “says Agnetha. Agnes has been long away from the limelight for many years. But in a major interview with Amelia Adamo in M Magazine she talks candidly about life today – and reveals that she wants to see Abba reunited on stage. – It’s just a feeling I have that it would be fun to get together, talk a bit about the past and it may occur, something together. But it would have to be something special. A reunion, a one-time basis, perhaps in connection with a charity, I think maybe we all could imagine doing this. I am open to see them and do something, she adds, but points out that she had not had contact with Björn , Benny or Anni-Frid about this. Abba split up in 1983, the chill between the members has been hard to hide. Agnetha divorced four years earlier with Bjorn and locked themselves up after Abbas’ departure. Since then she has been unavailable. – I am very uninterested to appear in newspapers and television. Many believe that it’s just an attitude, that I want to create a sense of shyness. But I really have no desire. I got an overdose. But I have not completely pulled myself back, I have made three solo albums after ABBA-time, “. Now she is happy with life on the farm outside of Stockholm. And music has found it’s way back to her. She sings at the piano and has a bag with half-finished songs. – I was 15 when I started as a vocalist in a dance band. 18 years old, I made my first album. When I was 25 we formed Abba. After Abba, I’ve done three solo albums. Maybe I have been sufficiently productive. But still, there are dreams. – I would like to sing the theme song for a feature film. Think “Titanic”! she says. Comments : Comments Off on Merry Christmas everyone! 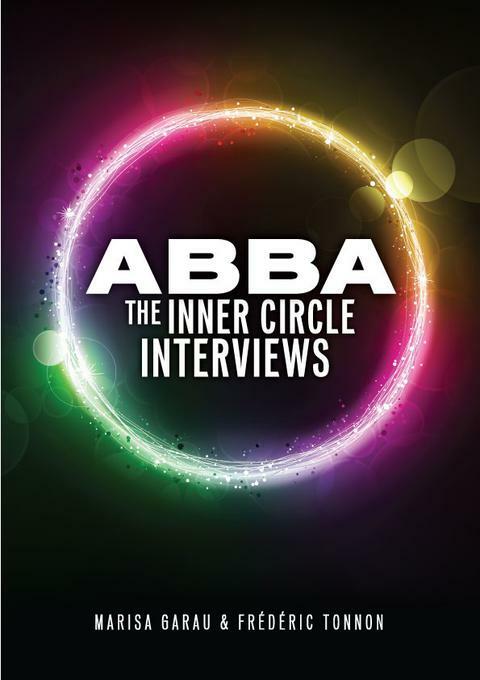 ABBA The Inner circle interviews. Don’t settle for less and find out what really happened behind the scenes of ABBA’s hit producing magic. If you are done with the politically correct stories which dominated the media for over thirty years and which were readily parroted in numerous books on the successful Swedes, read ‘ABBA — The Inner Circle Interviews’ and get to the bottom of the rise and fall of the most influential pop act ever. 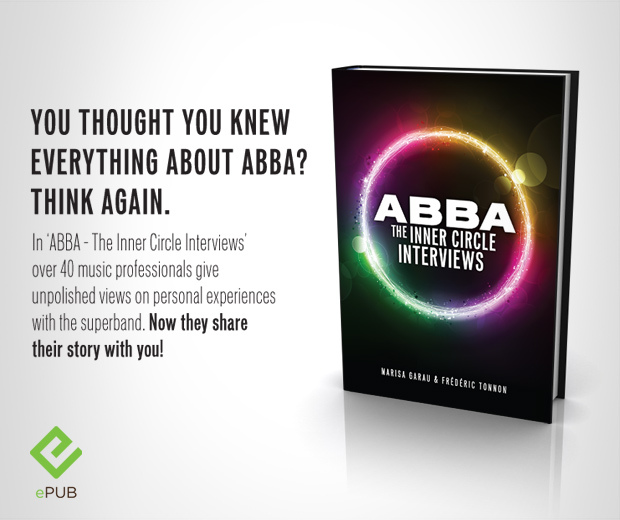 ‘ABBA — The Inner Circle Interviews’ New e-book. ‘ABBA — The Inner Circle Interviews’ presents the personal views of over 40 extraordinary music professionals who contributed to the timeless appeal of this band. These are the people who were actually there when ABBA’s amazing pop story unfolded right before their very eyes. 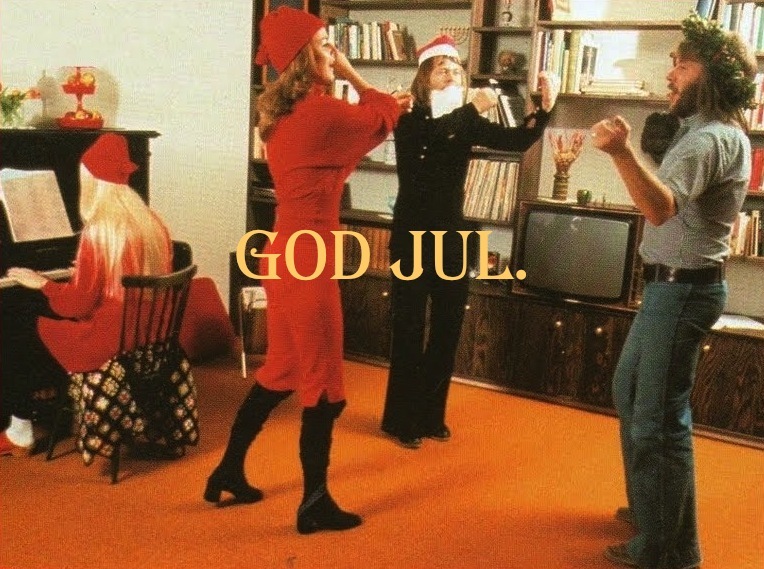 This unique book offers in-depth and previously confidential information on the musical and entrepreneurial brilliance of this multimillion venture, as well as intriguing insights in the psychological dynamics between ABBA’s highly creative, extremely ambitious and utterly headstrong individuals. ‘ABBA — The Inner Circle Interviews’ is based on exclusive interviews by Marisa Garau and Frédéric Tonnon with numerous musicians, managers, friends and colleagues who worked closely with ABBA. The authors have interviewed Mike Chapman, Phil Collins, Judy Craymer, Barbara Dickson, Marie Dimberg, Anders Eljas, Marie Fredriksson, Bruce Gaitsch, Claes af Geijerstam, Little Gerhard, Anders Glenmark, Rutger Gunnarsson, Lasse Hallström, Ola Håkansson, Svenne Hedlund, Gunnar Hellström, Peter Jöback, Thomas Johansson, Catherine Johnson, Martin Koch, Marie Ledin, Tomas Ledin, Steve Lillywhite, Per Lindvall, Kirsty MacColl, Lolo Murray, Olivia Newton-John, Bosse Norling, Liz Mitchell, Sir Tim Rice, Hansi Schwartz, Eric Stewart, Donna Summer, Michael B. Tretow, Sofia Tretow, Björn Ulvaeus, Lasse Wellander, Terry Wogan and Westlife. These key persons—who each played a unique part in ABBA’s legendary pop endeavour—make for a great must-read. After twenty years of silence they agreed to share their personal and unpolished views with you. The ePub format is perfect for reading this book on your iPad, iPhone, Kindle, Sony Reader or any other ebook reader. If you would like to read it from your computer we recommend reader software like Adobe Digital Editions or Calibre. And save some trees in the meantime. ABBA — The Inner Circle Interviews Marisa Garau & Frederic Tonnon. Comments : Comments Off on ABBA The Inner circle interviews. 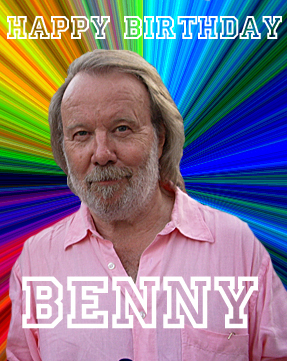 Comments : Comments Off on Happy Birthday Benny!